NXT LVL was established in late 2016 when a group of womxn met up to ask the question, "What can we do now?" We are a diverse group with a wide range of backgrounds and skills with one common goal: to create change and foster social justice within the community and at large. 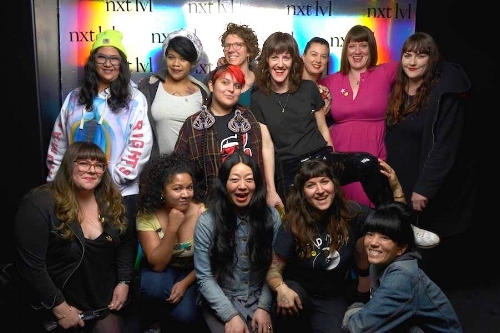 NXT LVL events are carefully curated to center and amplify WOC/QTPOC/Two Spirit voices and causes. We work closely with performers and speakers to ensure inclusivity at each event while prioritizing creation of a safe space for all who attend our events. NXT LVL values providing fair compensation for all performers, DJs, security and photographers we work with. As part of our effort to keep our events accessible, tickets are priced on a sliding scale. Each event serves to raise money for two charities and features a tampon drive to donate locally. Moving forward, our hope is to continue to provide Portland with safe, inclusive event spaces where attendees find concrete opportunities to participate in activism while directly raising money and awareness for various organizations and communities. A critical part of expanding NXT LVL's mission is seeking community partnerships with local companies and organizations like yours. Please contact nxtlvlpdx@gmail.com to get involved.